Wake to the smell of freshly baked bread. 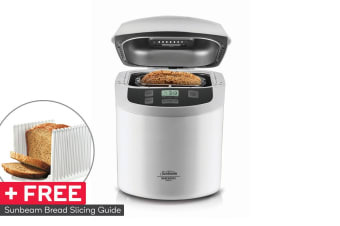 This versatile bread maker not only bakes perfect loaves of bread, it is capable of making pastries, pastas and even jam! 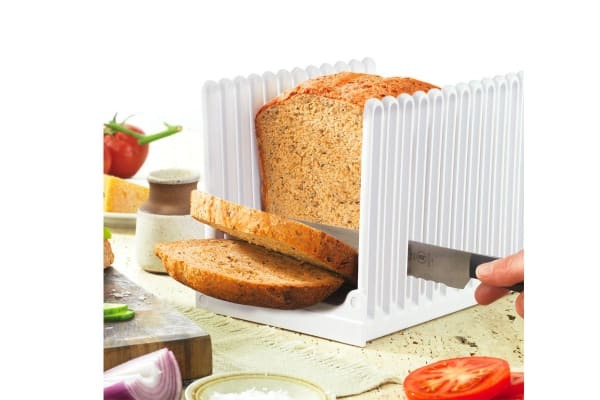 Get a nifty Sunbeam Bread Slicing Guide absolutely free if you buy the Sunbeam Compact Bakehouse today! 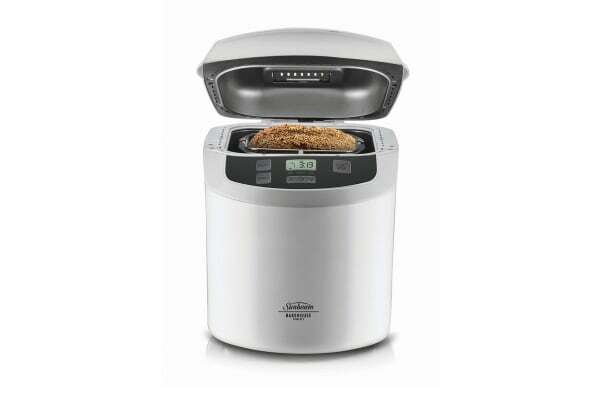 You’ll be tempted to bake fresh bread every day when you have the Sunbeam Compact Bakehouse 750g Bread Maker at home. It’s fitted with a timer that lets you select the perfect baking time, and its convenient beeper alerts you exactly when it’s time to add nuts or fruits. It can even make the dough for you to roll and bake in a conventional oven when you’re in the mood to do so! 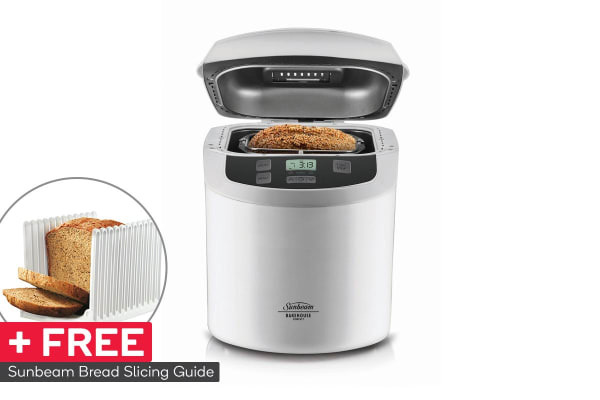 The free Sunbeam Bread Slicing Guide will help you to prevent wastage and get the most from your bread with easy, even and quick slicing.